Sound Branch is a voice notes app. 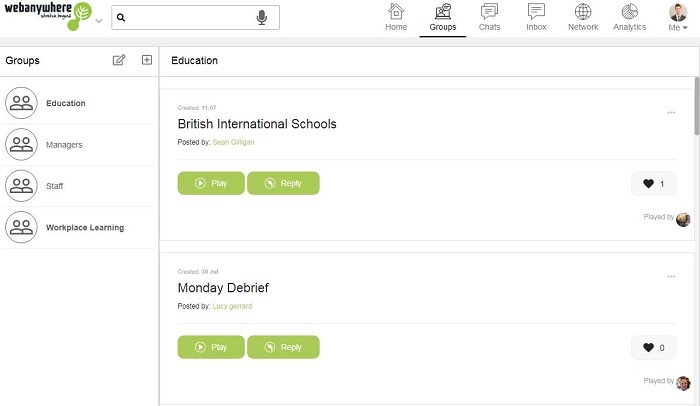 This is an overview of how Webanywhere uses Sound Branch for internal communication, on-boarding and recruitment. Webanywhere has a branded voice site but also branded mobile apps for iOS and Android.